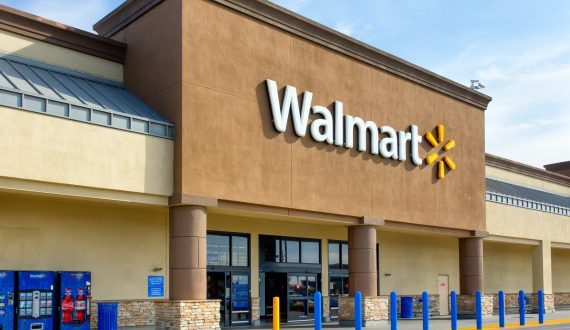 Walmart Canada has announced it will no longer be accepting Visa cards as payment at all of it’s locations nationwide. In a written statement, the store says that fees applied to Visa cards are ‘unacceptably high’. “Following an evaluation of credit card transaction fees in Canada and the rest of the world, we have recently concluded the fees applied to credit card purchases are unjustifiably high,” Alex Roberton told Global News in an email. The change will start with three stores in Thunder Bay on July 18, and then be rolled out across the rest of the country. So far there is no official time frame for when your local store will stop accepting it. Roberton says the retail giant, which has over 400 stores across Canada, knows that it’s a blow to Canadians. “We sincerely regret the impact this will have on our customers that use Visa and remain fully committed to reaching an agreement with Visa,” he said. The move comes during a long legal battle between Walmart and Visa. In 2014, Walmart brought a legal suit against the credit card company for what it called “swipe fees.” In May, the retail giant sued Visa over how the companies verify a card purchase, according to the Wall Street Journal. In Canada, Visa holds the position of being the largest payments network. While it has 50.6 million cards in circulation here, about $232.59bn worth of transactions were done on its cards in 2015, according to the Nilson Report, an industry newsletter.